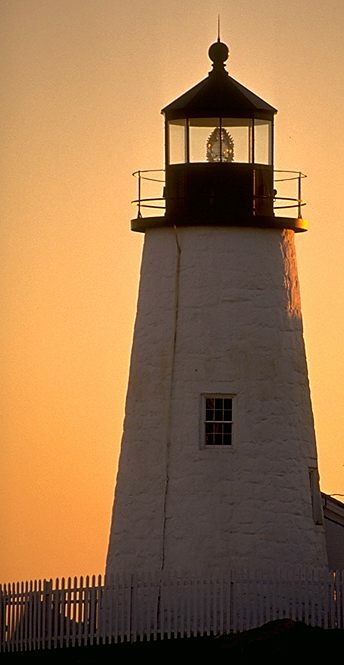 The light at Pemaquid was originally built during the presidency of John Quicy Adams, in 1827, at a cost of $2,800. Faulty construction was blamed for the quick deterioration of the tower, which was rebuilt with double walls in 1835. 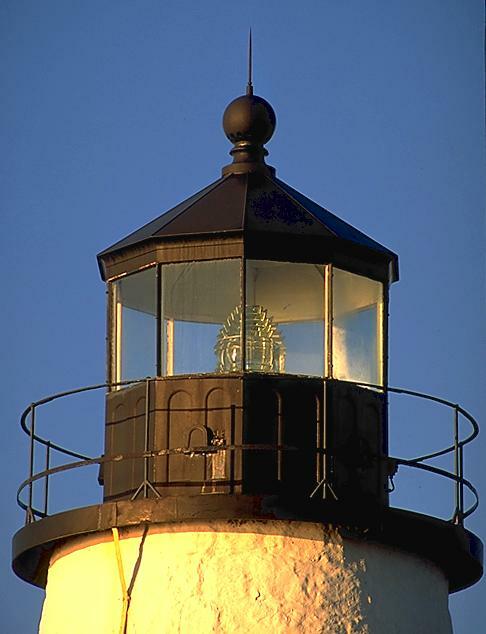 The tower is only 38 ft tall, but it's placement on a rock ledge gives the light a 79 ft. focal plane. 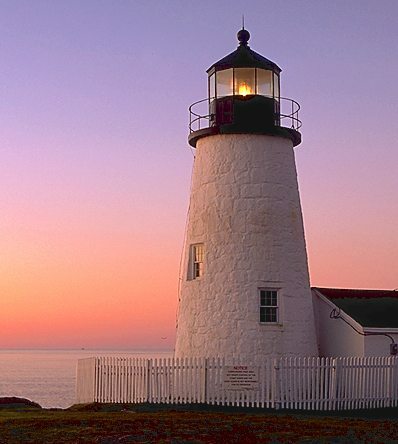 Flashing a white light every 6 seconds, Pemaquid's fourth-order fresnel is visible for 14 miles. Head south off US 1 from Damariscotta ... it's about 16 miles to the point. The pickett fence, which is a work of art, is worth the trip alone. 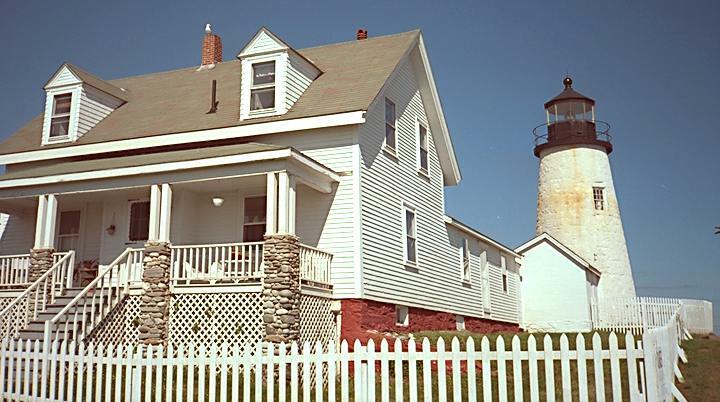 The lightkeeper's house is now a museum, and there is an art gallery at the park, but the best part of this trip is climbing around on the point itself, enjoying the spectacular scenery and taking the inevitable photo of the light reflected in a tidal pool. 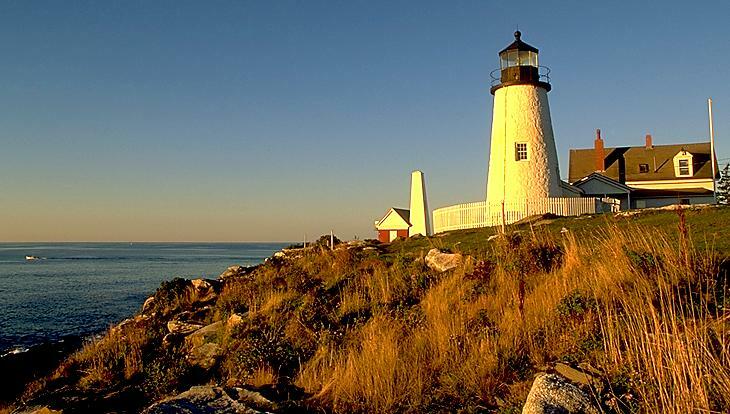 Over the years, many ships have been impaled on the rocks of Pemaquid's point. There is one especially poignant story of a man who sailed for the new world in 1635 on the Angel Gabriel, leaving his wife behind to follow him when he had established a new home. The Angel Gabriel was smashed to pieces during an August storm. Although the man survived, his wife was afraid to follow him on such a perilous journey, and he was unable to face the journey back to England, so they never saw each other again. 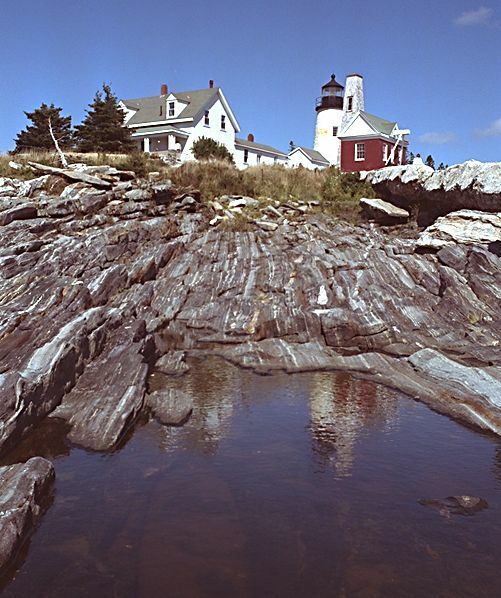 Pemaquid’'s rugged point is a wonderful spot for solitary reflection as the sun, the sea, and the lighthouse beacon perform their timeless cycles. 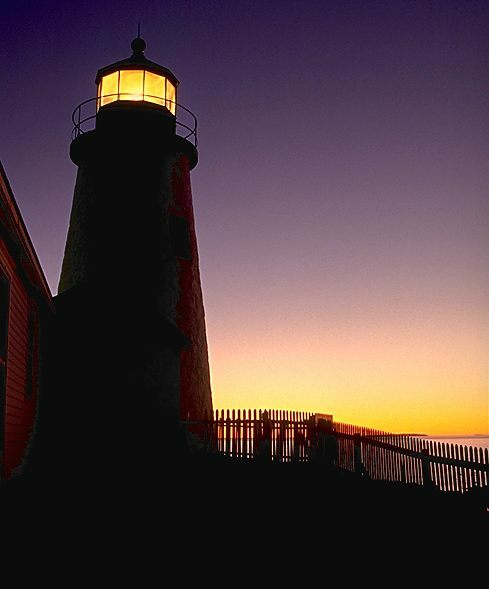 A fine art print of this lighthouse is available for purchase.